After 16 years, it was time to renovate our bedroom. 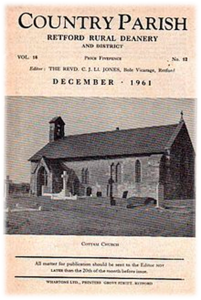 I stripped the wardrobes and, in the process, I came across an old “Church Times” magazine. This booklet must have been given to us by Mark’s 88-year-old Aunt before she died. She was the last survivor of that generation of Mark’s family. A note on the front cover, in her handwriting, read: “See Page 3.” Now curious, I stop what I was doing and read the article. It was about the passing of Mark’s Grandmother, Mrs Alice Knight. I’d married into the family when Mark had lost three of his grandparents, so I never knew Grandma Alice. I had heard stories that she was a very opinionated old lady who had nothing good to say. Apparently, her attitude towards Mark’s Mum was so bad that, eventually, it wasn’t possible for her to visit the Grandparent’s home when the boys were young. 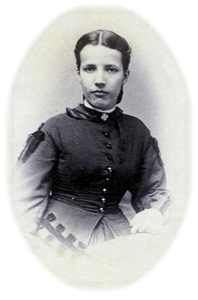 The article certainly revealed that Alice could be dogmatic, even down at her local Anglican Church, that she seemed to faithfully attend. We were going out that night with our daughter, so I took the magazine with me to read while we waited for our food. I thought our daughter would like to hear about her Great-Grandmother. Unfortunately however, after reading the article, I accidentally left this irreplaceable booklet, and link to our family past, at the restaurant. To my deep disappointment, we never saw it again! What’s interesting here is that, contrary to popular messages today, they all didn’t live “happily ever after”. In imitating the first of the churches (those that started in Israel after Christ), the Thessalonians were plunged into hardship. [v14-16] It wasn’t easy back then to follow the Creator God’s epic story, nor is it easy today for many people around the world. Nik Ripken’s book, The Insanity of Obedience[b], shows how difficult it continues to be in many cultures to reject a local belief system, choose the righteousness that Father God provides through Jesus’ sacrifice, and to stand out as different. Remembering that Paul’s letter didn’t have chapter divisions – it was a letter not a book and the divisions where put in later to help us study the principles – Paul mentions one more thing in this chapter. It’s clear that opposing forces of darkness – satan (the devil) – are real. [v18] To believe in the Creator God, you need to believe that satan is real because he is part of the story from beginning to end, from Genesis to Revelation. He can block what we want to do for God through using opposing humans, negative circumstances or even our own discouraging thoughts so that we won’t do what God wants us to. I don’t know how Paul could have been “blocked by satan” in going to visit the new Believers in Thessalonica. It was probably because those in opposition to the message had him arrested, and he couldn’t make another trip back.